In a diet-obsessed world, how do we raise our kids to grow up with a healthy relationship with food? 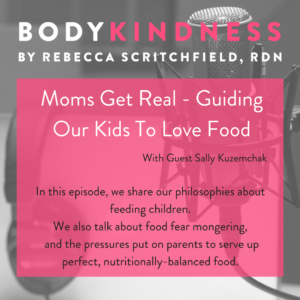 My guest today is Sally Kuzemchak of Real Mom Nutrition, and we share our philosophies about feeding children. Sally explains how she’s allowing her children to experience all foods and teach them about balance without restriction. Find out what happened when Sally experimented with giving her kids access to ‘forbidden’ food. We also talk about food fear mongering, the crazy pressure put on Moms to serve up perfect nutritionally balanced food, as well as the importance of finding our “caregiver voice”. Sally Kuzemhak, MS, RD. 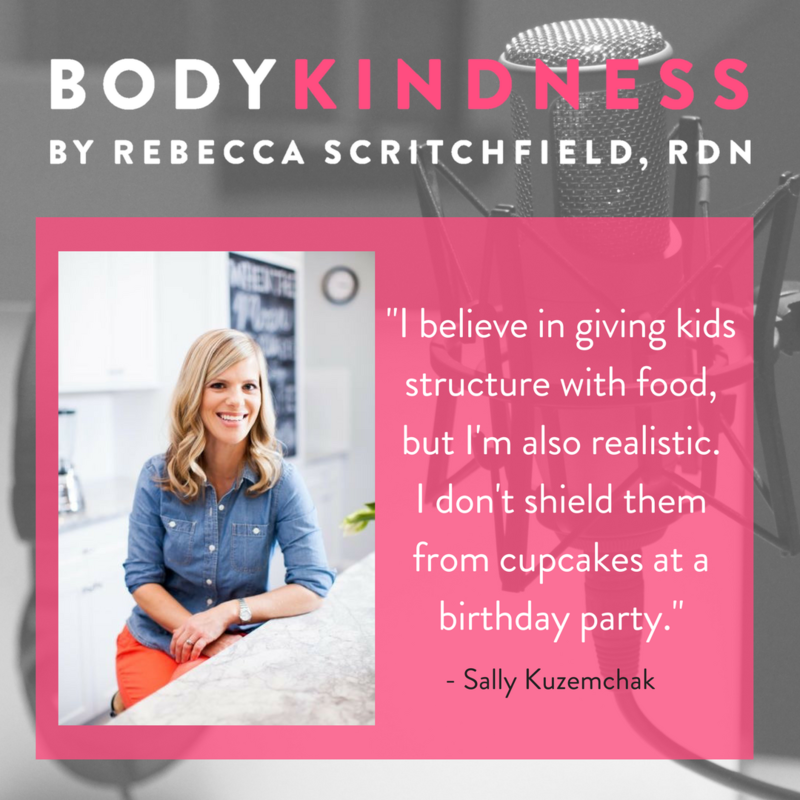 Sally is a registered dietitian, educator, author, and mom. She blogs at RealMomNutrition.com, a “no-judgments” zone all about feeding families and blogs weekly for Parents magazine. 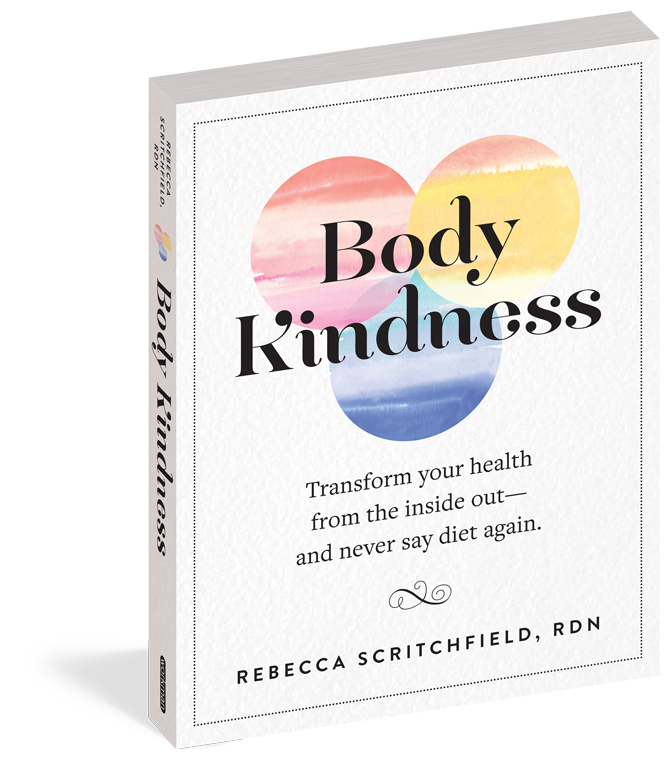 In 2014, she collaborated with Cooking Light on Dinnertime Survival Guide, a cookbook for busy families, and she recently released an e-book called The Snacktivist’s Handbook: How to Change the Junk Food Snack Culture at School, in Sports, and at Camp—and Raise Healthier Snackers at Home. An award-winning reporter and writer, Sally has been published in nearly 20 magazines including Prevention, Health, Family Circle, Eating Well, Fitness, and Shape, and she served as a Contributing Editor to Parents magazine for six years. Sally’s Facebook live chat and blog post about her post-40 weight gain frustrations.